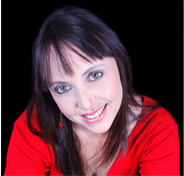 Today I’m delighted to welcome fellow Carina UK author, Natasha Hardy, to my blog. 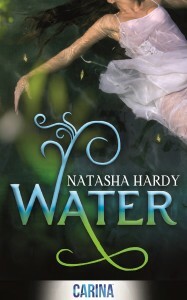 Natasha’s novel, Water, a thrilling paranormal YA adventure, is due for release on 16th August. Natasha Hardy began writing when the adventure of her life had turned dark and gloomy, as all adventures must at some point, if they are to be classified as a true adventure. It was in the depths of the winter of her adventure that she found a way, through writing, to escape into the sun. Like most escapes it turned into an adventure all of its own, where characters have their own problems to solve, albeit far more complex problems involving mythical creatures that aren’t meant to exist, and expect far more than they reasonably should. Her escapes, for there are many still to come, are sparked by the adventures she has had in the wildly beautiful South African bush, seasoned with the true stories of the explorers who make up her ancestry, and woven through with the intrigue, and sometimes sheer madness, of living in Africa. She now spends most of her time-happily- in a world of words, and the rest trying to keep up with her part time rock star, full time doctor husband and their two gorgeously mischievous little boys. Natasha, many thanks for dropping by! Can you tell us a little bit about yourself, where you’re from and what you do when you’re not writing? When I’m not writing I’m normally running after my two little boys and trying to keep up with my very energetic husband. To relax I read, play the drums and spend time with friends and family. Where did the idea for ‘Water’ come from? When I was ten years old I went on a camping trip with my two best friends into the Injisuthi mountains. We spent the night in a cave there and discovered these amazing pools of turquoise blue water- as clean and pure and sweet as can be. The concept for Water was sparked from memories of this trip. It has taken me three years to write Water. It is part of a series. Can you describe your journey to signing a contract for this your 1st novel? I initially wrote Water as entertainment for myself, and it took my husband and my sister to push me to send it to literary agents and publishers. Writing the query letter was really tough, my story seemed insubstantial and odd all squashed up like that. An e-mail popped up in my erratically working inbox – I have a love hate relationship with my pc- from a lovely lady at Carina who wanted to chat to me over the phone. A little squirm of excitement began only to be quenched as I struggled to get through to her. When I did finally manage to speak to her, she told me she really liked my writing and Carina wanted to sign me as an author. I tried so hard to sound like an adult but on the inside was simply squealing with amazed delight. The journey with Carina UK has been really awesome and every phase of the publishing process has been incredible. On paper -the sequel to Water. In my head, another two or three stories, each of them fighting for attention. I try to write every day- weekends are a bit of a struggle as are school holidays. Word count really depends on whether I have other things to do as well…groceries can be a very irritating distraction, but I suspect my family would revolt if I didn’t buy them. I love beautifully written stories where the characters and their location come richly to life.